Faculty | Theopolis Institute | Bible. Liturgy. Culture. Alastair Roberts was raised in the Republic of Ireland, where his parents were missionaries and church-planters. After studying at the then Evangelical Theological College of Wales, he did his Master’s studies in the University of Saint Andrews. He obtained his PhD at Durham University. His thesis was entitled ‘The Red Sea Crossing and Christian Baptism: A Study in Liturgy and Typology’. Alastair has been a prolific blogger since 2003, and now blogs at Alastair’s Adversaria. He is a member of the Mere Fidelity podcast and also produces his own daily theological videos on YouTube. 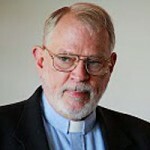 He is a contributing editor of the Politics of Scripture section of the Political Theology blog. He is the co-author of Echoes of Exodus: Tracing Themes of Redemption Through Scripture (Crossway, 2018). He has a forthcoming book on the theology of the sexes, entitled Heirs Together. Rev. Richard Bledsoe was born in Tacoma, Washington at the Army Hospital at Fort Lewis on September 13, 1949, where his father was stationed. He graduated from high school in Longmont, Colorado. He graduated from Colorado State University, in Fort Collins, graduating with a BA in Literature and Philosophy in 1972. 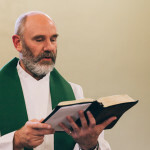 He moved to Boulder, Colorado in 1974, where he taught a large adult Sunday School class at First Presbyterian Church until he went to seminary in 1981. He graduated from Westminster Theological Seminary in California in 1984 and returned to Boulder to plant Tree of Life Presbyterian Church (PCA), where he served for twenty-one years. Since 2005, he has served as a hospital chaplain at Boulder Community Hospital. 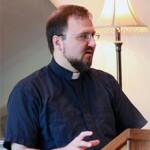 He received his DMin in Metropolitan Ministry from the Bakke Graduate School in 2009. He has been married to Carla since 1976, has three children, and enjoys hiking, cycling, and cross-country skiing. 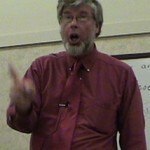 He has been a regular lecturer at the Biblical Horizons Summer Conferences for many years. 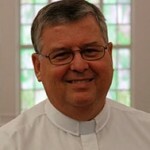 John Barach is the pastor of Covenant Presbyterian Church in Sulphur, Louisiana. Previously, he pastored the Christ Church of Southern Oregon (CREC) in Medford, Oregon as well as Trinity Reformed Church (URCNA) in Lethbridge, Alberta and Covenant Reformed Church (URCNA) in Grande Prairie, Alberta. He is a contributing author to The Federal Vision. An Alabama native and graduate of Boyce College in Louisville, Brian is a professional photographer in Birmingham, AL and previously worked as an Account Coordinator for Charter Communications. He is married to Ashton and they have two children, Talitha (8) and Abel (4). He and his family are members of Trinity Presbyterian Church in Birmingham. 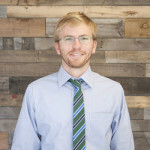 Trey Fulmer was born in Birmingham, Alabama, graduated from the University of Alabama at Birmingham with a BS in Accounting, and became a Certified Public Accountant in 2011. 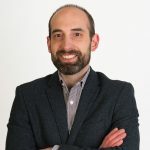 He worked in the public accounting sector for 6 years, cultivating a broad practical and academic understanding of tax matters, financial accounting, and management. He currently works as the CFO of South Cypress, Inc., an e-commerce flooring company with a strong faith-based, service-focused culture. 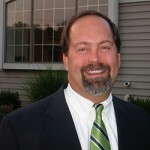 He serves as the financial analyst for the Board of Theopolis Institute. 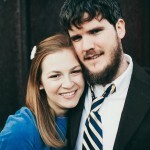 He and his wife, Becca, are members of Trinity Presbyterian Church in Birmingham, Alabama.